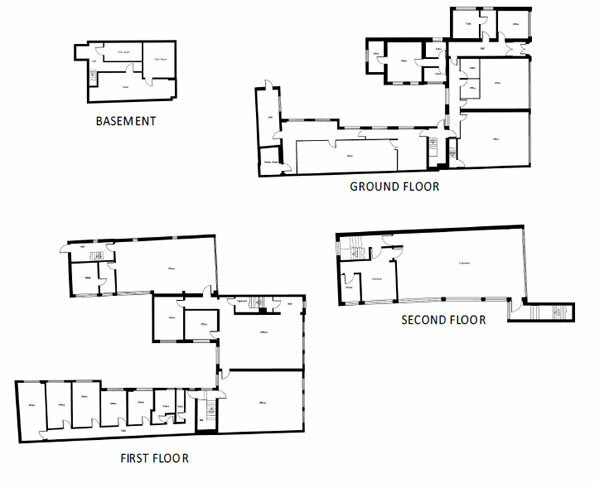 As the measurements are beamed to your mobile computer, your sketch resizes automatically and your floor plan can then be immediately opened in any CAD or drawing package. The software contains easy to use tools that allow even complicated room shapes to be easily surveyed. 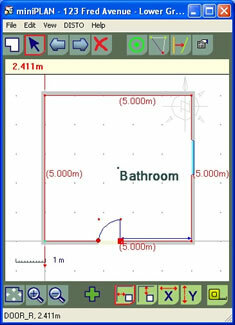 Floor areas, surface areas and room volumes are calculated automatically as you work. As with previous models of the DISTO ™ , significant increases in productivity and accuracy are instantly achieved over measuring with a tape, but it’s the D8's added ability to measure tilt angles that sets it apart from other laser distance measurers. For the first time accurate measurements can now be easily taken to normally inaccessible objects, such as ceiling detail, and obstructions can be measured over to get an object's true plan position. Nothing gets in the way of the DISTO ™ D8! Using the tilt sensor on the Leica DISTO ™ D8, it is possible to measure over the top of obstructions and accurately fix ceiling detail. miniPLAN GO! 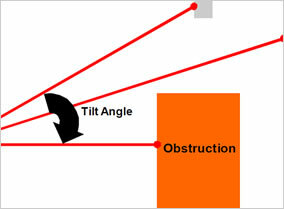 uses the tilt angle and the measured slope distance to fix an object’s true plan position. Most laser distance measurers can only measure horizontal distances as they don't have a tilt sensor. Therefore they can't measure past obstructions. miniPLAN GO! is ideally suited to running on a PDA, smartphone, UMPC, or laptop but will run on most devices with a Windows ™ operating system. So...just how productive is the Leica DISTO ™ D8 when it’s used with miniPLAN ? The floor plan above was created using miniPLAN with the Leica DISTO ™ D8. The building is a former bank consisting of 52 rooms spread over 4 floors. It took just 1 person 5 hours to measure up with less than 2 hours in the office afterwards to carry out the final editing in AutoCAD. To find out how to fully exploit the capabilities of the Leica DISTO ™ D8 with miniPLAN software, visit www.miniplan.co.uk/resellers/property_perspective.html or contact us on 0800 292 2188.